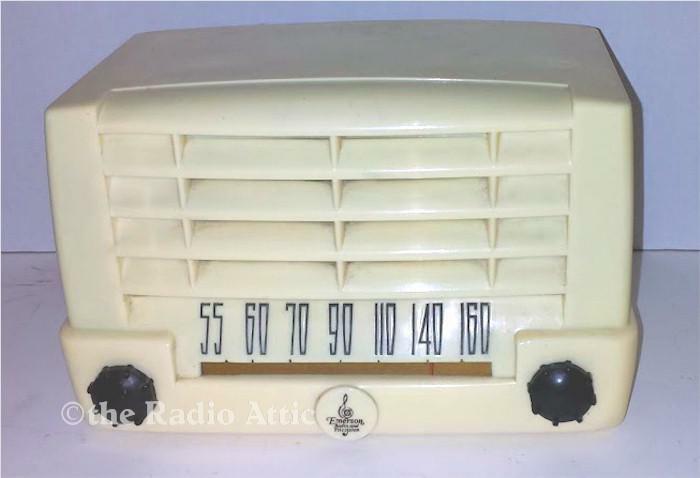 Attractive five-tube AM radio in ivory Plaskon case. Plays well after restoration which included replacement of all paper and electrolytic caps and other parts including tubes as needed. Will be carefully packed to ensure safe delivery. Nice item for a gift or for adding to your collection. 9"W x 5-1/2"H x 5-1/4"D.